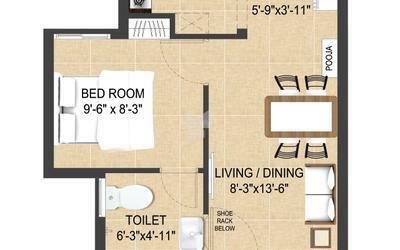 How Far is Arun Excello Compact Homes Jalmika? Destined in Oragadam, Chennai, is a very meticulous project, Arun Excello Compact Homes Jalmika by the most renowned real estate group in Chennai. The project is located in a serene environment with some scenic views. It is ideal for a peaceful and comfortable living. 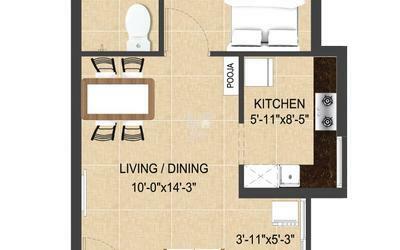 The project comprises apartments for sale in Oragadam, Chennai. These apartments are brought to you in a very affordable price, with no compromise on the elegance part of it. 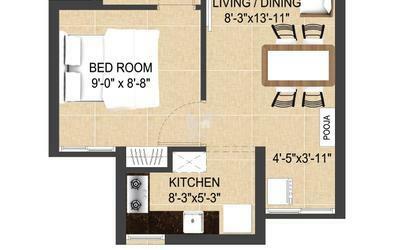 It offers you 1BHK apartment for sale in Oragadam, Chennai. 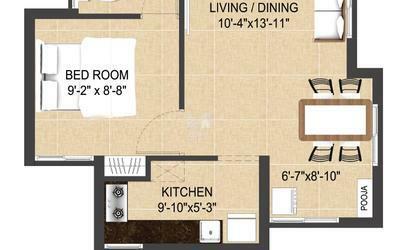 The well-planned floor plan in these apartments gives you more spacious rooms and maximum utilization space. The apartments are equipped with basic amenities, ensuring your convenience and hassle-free lifestyle at Arun Excello Compact Homes Jalmika. These are the homes you must have always dreamt of, the kind that gives you a chance to live life to the fullest and spend more time at home with your family. At Arun Excello Compact Homes Jalmika, you are benefited with an array of amenities for your recreational activities. The project location gives you the benefit of easy access to other major parts of the city and also it is in close proximity to the famed schools, hospitals, shopping malls, public parks and other civic utilities.